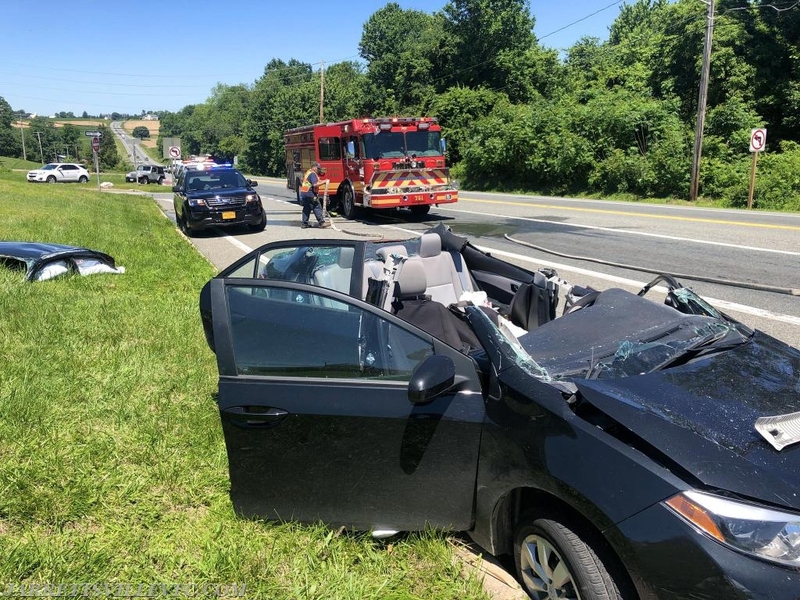 The Jarrettsville Volunteer Fire Company was alerted to respond Rescue 751 to assist the Fallston VFC with a working automobile rescue in the area of Rt 152 and Pleasantville Road. First arriving units encountered a two vehicle collision with one patient trapped. Rescue 751's crew assisted units on scene with removal of the roof to better gain entry to the patient. Rescue 751 remained on scene for a period of time before being placed back into service.